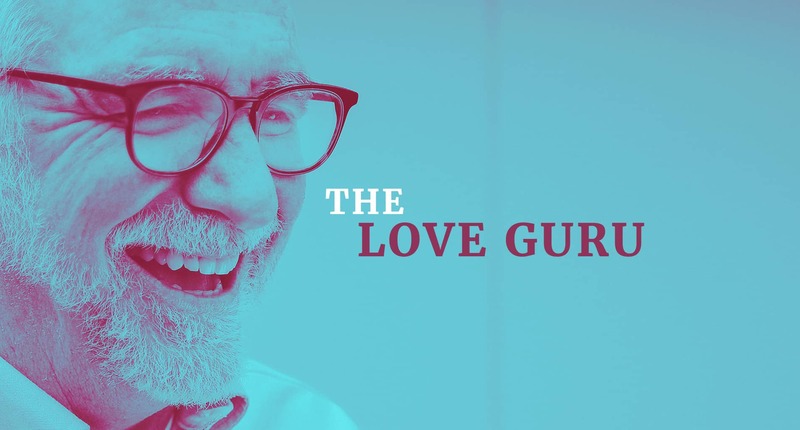 He wrote the best-selling Love Does–and is known by millions for balloons and whimsy–but the work Bob Goff is doing now is nothing short of world changing. Four days can be quite eventful in the life of Bob Goff. On a Saturday, he walked onto a San Francisco street to find the windows smashed out of his team’s rental van and everyone’s belongings stolen—including Goff’s phone and laptop, where he’d saved his entire next book. But instead of being devastated, Goff laughed at the thought of the thief receiving a hundred phone calls a day from people who read his first book, Love Does (in which he encouraged readers to call him). Later that same day, Goff went skydiving. It’s been five years since Love Does, The New York Times best-seller that catapulted Goff, a lawyer and professor by profession, to the international stage. In the public eye, he’s like a mix of Willy Wonka, Mr. Rogers and Ms. Frizzle from The Magic School Bus. Stories about him spread like folklore. Go to any Christian conference or seminar, and you’re likely to find someone fix a wild eye on you to tell you about the time Goff helped Uganda achieve space travel. It’s a relief for this reporter to tell you that the man lives up to the legend and then some. There are no dark secrets. There’s not a hidden, calculating Goff who carefully projects a certain image onto social media and lives another way behind the scenes. There’s just Bob, the guy who seems dead set on actually changing the world. For Goff, it’s not about being a best-selling author or a law professor or the honorary consul for the Republic of Uganda to the United States. It’s not even about being the founder of the nonprofit Restore International. Whereas many people seem to live in a world of binary, confined boxes, Goff lives in a world of “what ifs.” Imagine the kid in school who hands out balloons to his classmates when he’s supposed to be presenting his science project or the kid who climbs up the playground slide when everyone else is sliding down. “Do I look like a guy with a plan?” he asks me in his most jovial, non-Joker voice. Christians should have plans, right? We should be strategic, as we’ve seen too many times the devastating effects of good intentions all around the world. How does this guy get away with only knowing his next four days, quitting something every Thursday and flying around the world to start schools for poor children? It wasn’t until late high school that Goff learned about faith. “Something about it just resonated with me,” he says. Goff practiced law for 30 years, but when he visited Uganda 16 years ago, he realized what he was meant to do. The Ugandan Civil War was still going on, and many children were displaced and had nowhere to receive education. “My worst subject in school was school, but it turns out I’m great at starting them,” he says. With the proceeds from the million copies sold of Love Does, Goff has now helped start schools in Uganda, Somalia, Iraq, Nepal, India, Mongolia and Nicaragua. Approximately 650 children are sitting in classrooms, thanks to the work of Restore International, and more than 100 students from these schools are now attending universities. On the practical side, Goff decided to quit because he’s become quite the popular addition to the evangelical speaking circuit in America. He does not have the time or need to practice law anymore. But on the spiritual side, he is always quitting something in pursuit of becoming a “new creation”—snipping out parts of life that have stopped being necessary ways of loving people. So there’s this lodge that’s become sort of famous among Goff’s friends. Or—more accurately—there was a lodge. Goff owned a giant, beautiful cabin on a remote bay in British Columbia, where he and his family would host getaways for leaders in dire need of one. It was a place for forging friendships, making resolutions, diving off of cliffs, weeping tears and finding redemption. And now, one worker’s misplaced oil rag and an accidental spark later, it’s gone—the home that impacted so many lives is a pile of ashes. A Fender Stratocaster adorns a wall in Goff’s office. It’s not signed by Bruce Springsteen, but by the former child soldiers in Uganda who enrolled in a school Goff helped start. To him, they are heroes who’ve chosen love over war. One particular boy, Oboma, lost his parents when rebels from the Lord’s Resistance Army took the roofing material from his hut and used it to burn them alive. Goff and his team helped Oboma through his trauma, and he ended up finishing elementary, junior high and high school. He was the valedictorian of a school with 360 students. The next “caper,” as Goff calls it, was helping this student get into law school in Uganda. But for Goff, loving people does not start in Africa; it starts with being neighborly. He hosts parades with his neighbors on his San Diego street and parties in his backyard. He hugs his neighbor as he walks on the path to his boat. “They think I’m nuts,” he says. Love is a confusing concept for Christians in America today. On the one hand, notions of romantic love permeate thoughts, worship songs and entertainment: Love is a watered-down butterfly feeling in our stomachs. On the other hand, Christians often fixate on keeping biblical doctrine pure from sinful culture: Love is defending Jesus and arguing about Him in every Twitter thread at the expense of dishonoring those on the other side of the screen. But Goff wants none of that. That’s why he carries around a $2 bill in his pocket to give to a kid who’s never seen one before. Love means buying a house in Washington, D.C. so government leaders from both parties had a place where they could learn how to get along, even though the idea failed and he lost some money trying. Love means sending people $1.29 Starbucks cake pops when they criticize him. Love means responding to hundreds of emails per day from readers and fans because Keith Green once responded to one of his letters. It’s washing the feet of witch doctors in Uganda, even though it terrifies him and he’s not a toe guy. Love is learning how to solo sky-dive with his son. It’s also why he tries never to let a call go to voicemail—one of his more famous habits that continues to hold true, even after he put his cell phone number in the back of Love Does, just in case anyone ever needed to talk. For Bob Goff, love is being available. It’s doing the next thing.